If you scroll through your timeline or feed on your social platforms, you’re likely to see someone you know who is traveling. Whether domestically or internationally, we are now entering peak travel season. As avid travelers ourselves, we’ve selected some of our favorite items to take with us on the go. 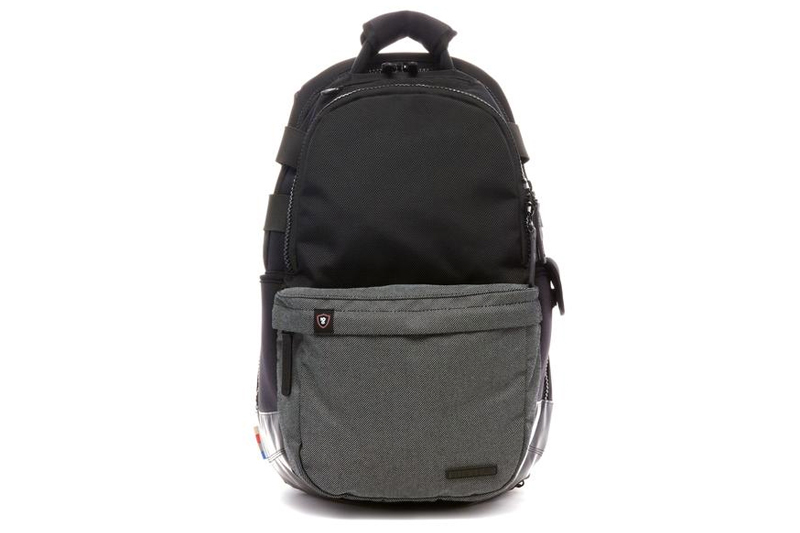 Among the most important travel accessories, the backpack you choose should be tailored to your traveling needs. 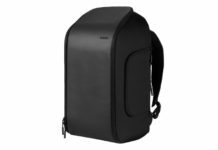 If you like to travel on the heavier side, but looking for a lightweight option, then the Vienna Pack by Lexdray is perfect for you. Packed with ample storage space for all of your essentials, this bag is designed with travelers in mind. If you’re looking for a duffle to take on your next trip, look no further than this version created by Will Leather Goods. 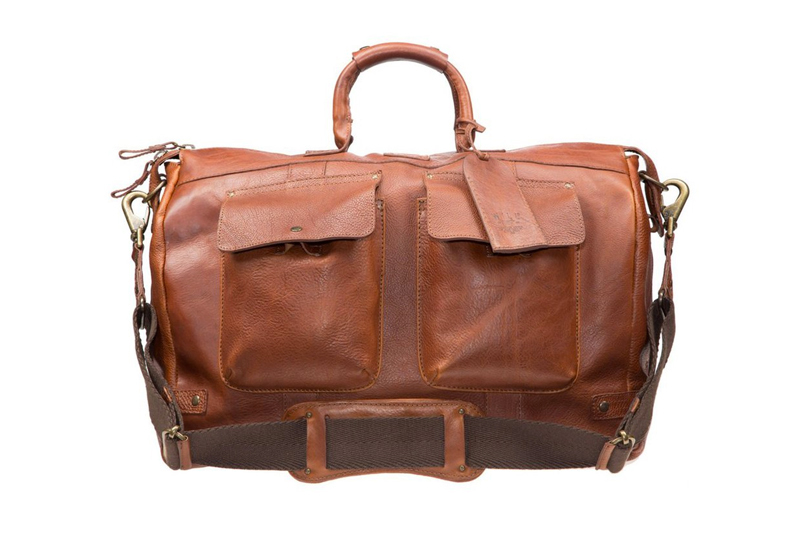 The Leather Traveler Duffle is made to not only look good, but completely functional. 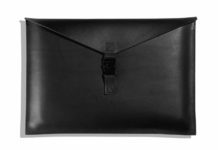 Constructed from bridle leather, you’ll find ample space on the interior with extra pockets on the outside. 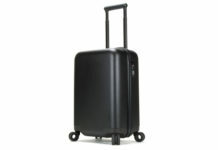 Perhaps you’re looking to ditch the duffle and travel a little simpler, that’s where Incase’s Hardshell Roller Cary-On comes in handy. Pack your clothes, accessories and tech with ease thanks to the organized interior which will house your gear effortlessly. It also opens flat for quick and easy airport screening. It’s time to trash that beat-up dopp kit you’ve been lugging around and opt for something of great quality. 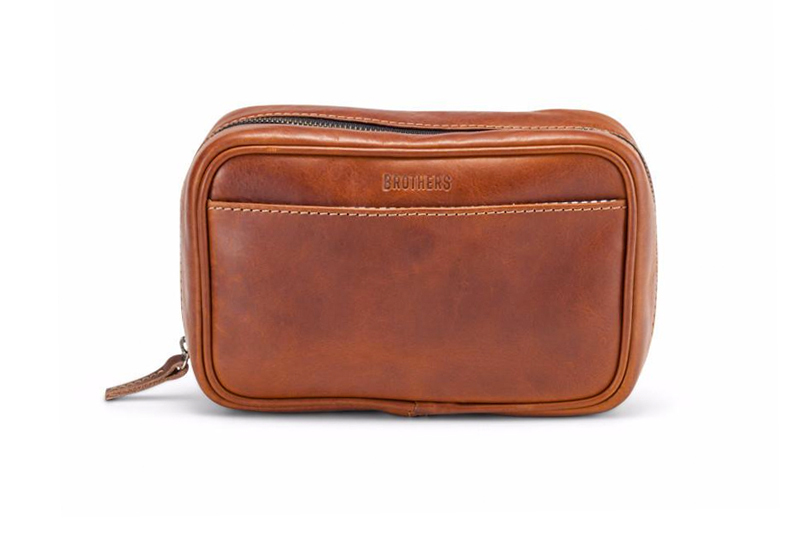 Brothers Leather’s Dan Dopp Kit is just that and is made from full-grain finished Vachetta tanned leather. It’s also fully-lined with nylon and comes with an elastic band so you won’t have to worry about not flexibility. Take this dopp kit one step further and personalize it. 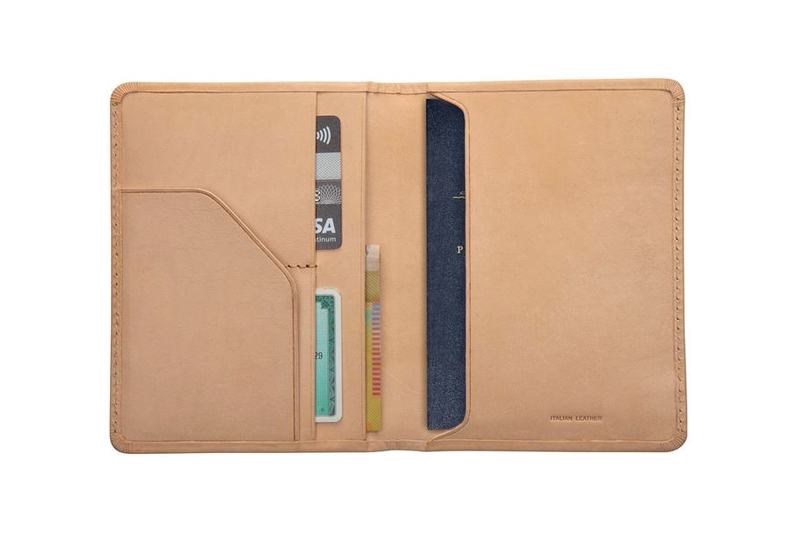 Some might say a passport wallet is unnecessary, but we’re a big fan of them. Keep all of your most prized possessions safe with Status Anxiety’s Leather Passport Conquest Wallet. 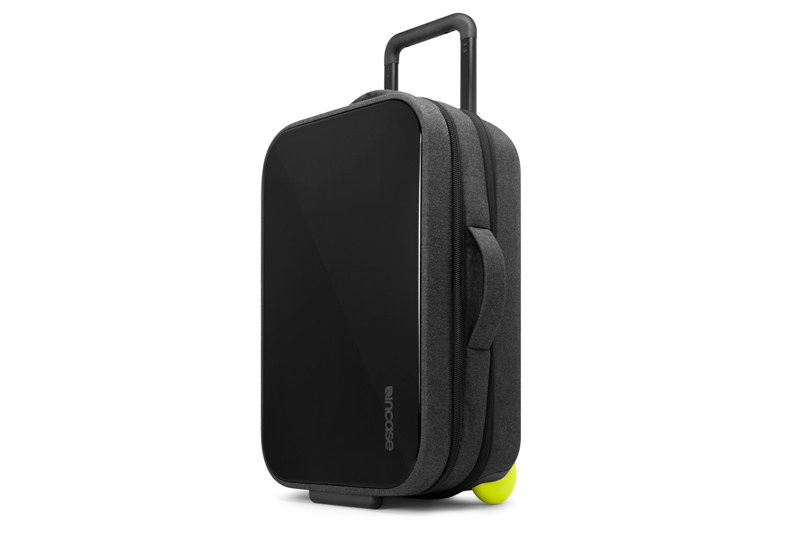 It’s compact enough to fit in your pockets, but has more than enough space for your passport, cash, credit cards and much more. We hate seeing our cords getting tangled, damaged or even worse, lost. This happens way too much while traveling and The Goods’ Combo solves that problem. 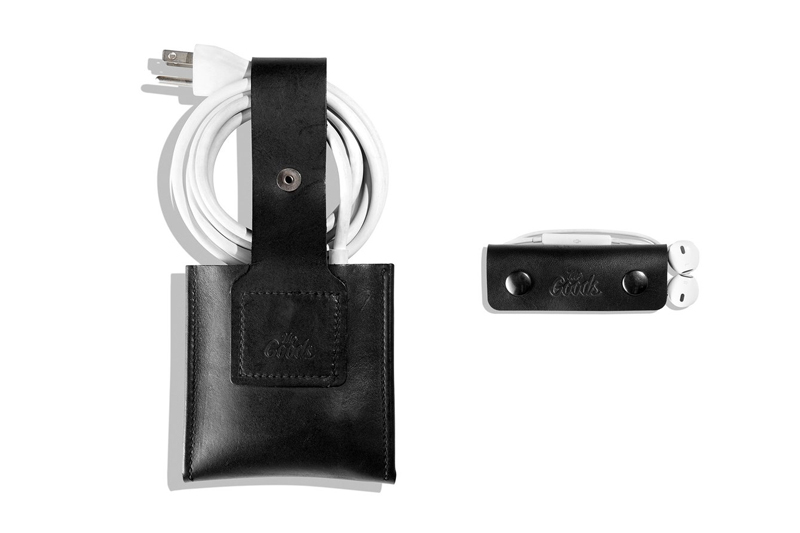 It’s the best of both worlds as you get organizers for your Macbook charger and wired headphones. There are a lot of converters on the market, but none are quite like this one. One of our favorite travel items, the TWIST+ World Charging Station by OneAdaptr. 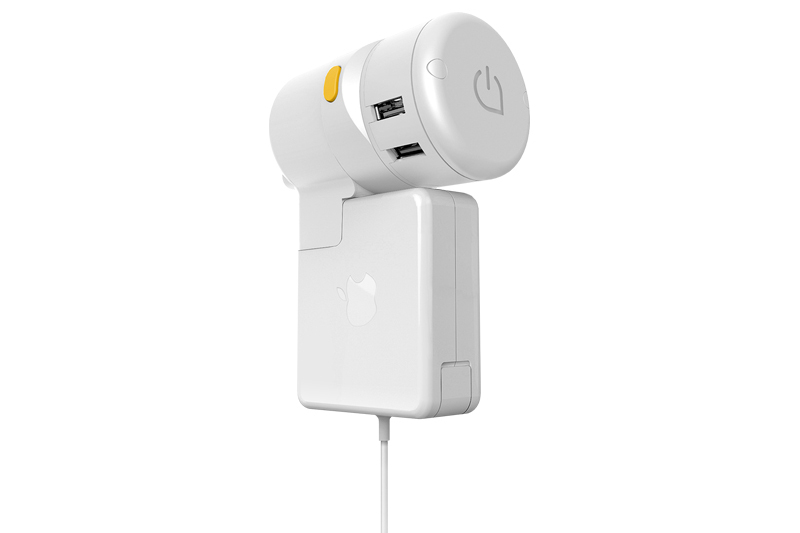 It’s the ultimate converter as you’ll be able to charge not only your Macbook, but four additional devices.